A great training innovation and prep for FSMA compliance. You might not normally consider a training course in food safety to be an innovation. However, when you consider the impact a course can have on the actual prevention of foodborne diseases, physical and chemical adulteration of foods, and the prevention of undeclared allergens in food risk to consumers, the Food Safety Preventive Controls Alliances’ (FSPCA) course IS an innovation. The course I am writing about is the Preventive Controls for Human Food course developed by FSPCA (and recognized by the FDA) that was purposely designed to train individuals to become a Preventive Controls Qualified Individual (PCQI); the person that must perform or oversee certain important tasks under FSMA regulations, like development of the Food Safety Plan and performance of the hazard analysis for each product produced in a food manufacturing facility. However, this course does more than this; it actually teaches the “how to” prevent food safety hazards during food manufacturing! The course is actually taught by many other groups that have become certified as instructors, but I took the course at the Illinois Institute of Technology, Institute for Food Safety and Health (IFSH), and this course was one of the most valuable lessons on prevention of food safety hazards in food manufacturing that I have experienced. It was taught by the experts involved in development of the course and manual; both of which are the most comprehensive materials I have used for gaining knowledge on what FSMA requires and more importantly how to best prevent hazards in a food manufacturing facility. 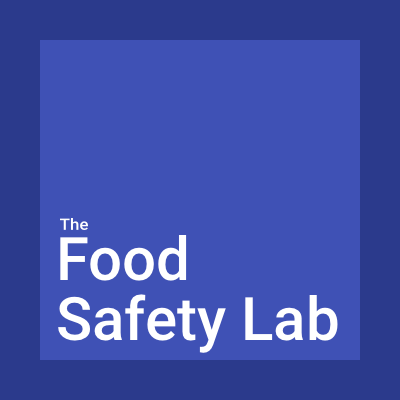 Some innovations in this course that are significant to food safety. I highly recommend this course not only to establish a PCQI for each of your food facilities, but also for every CEO/President who leads their company’s manufacture and sales of human food. You will learn exactly what FDA expects you to do, but most importantly you will learn what your company should do to prevent foodborne diseases, physical and chemical adulteration of foods, and the prevention of undeclared allergen risk to your customers. In a survey of approximately 400 food company’s by The Acheson Group and SafetyChain, only 10% of the respondents reported that their Food Safety Plans were completely updated in the context of FSMA readiness. Take this course, develop your food safety plans for each facility, be prepared for FSMA requirements, and once and for all establish your company as an industry leader in food safety. One more tip; I also noticed that several IFSH students were taking the course to become Preventive Control Qualified Individuals (PCQA) who are also looking for jobs in the food industry. This is a good source of newly trained expert food safety plan developers for your facilities to easily develop and then manage your food safety plan to achieve FSMA compliance.